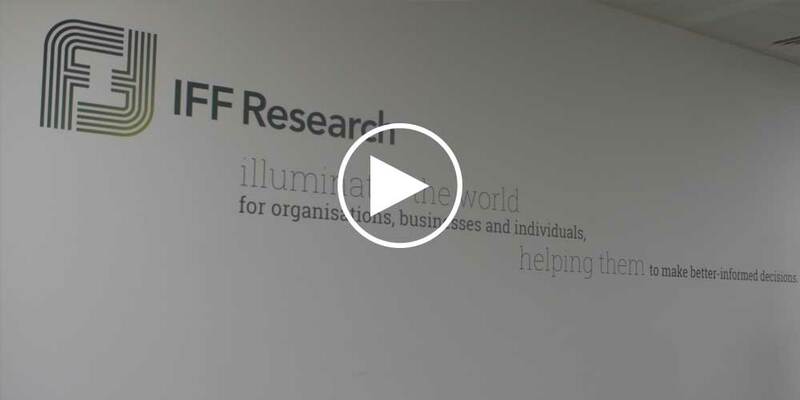 If you’re interested in joining our head office team, please click on the links below to find out more about our current vacancies – alternatively, please email recruitment@iffresearch.com attaching your CV and a cover note, explaining the type of role you’re looking for, what you like about IFF, and what you think you bring to the party. We will be in touch as and when a suitable opportunity crops up. We deliberately instigate social occasions like our Friday Club to build harmony within the team, and we always try to encourage an open and transparent working environment. Directors are approachable and work side by side with executives as we all pull together towards the achievement of common goals. From online surveys to face to face interviews, workshops to focus groups, online communities to secondary analysis there’s no limit to the type of research work that we do. IFF’s positive and friendly team combines a professional and conscientious approach to working, that is delivered within a warm and social environment. Our core values of ‘Being Human First’, ‘Impartiality and Independence’ and ‘Making a Difference’ permeate all aspects of our company. When we make decisions about anything, be it questionnaire design, recruitment, fieldwork considerations or client engagement, our approach is always led by our values. It’s very satisfying to know that you’re working on projects that change people’s lives, and I also enjoy the range of methodologies I’ve been exposed to through IFF’s Learning and Development programme. There are excellent training and development opportunities, with an annual cycle of training provision. Here at IFF, we’re passionate about making a difference – and that includes helping develop you. Our Learning and Development Pathway is a career-long flexible training programme that’s designed to meet your individual needs. L&D doesn’t start and stop with training courses. We operate a support system that pairs you up with senior members of our team who act as line managers and mentors. Additionally, we run regular workshop style sessions to help with soft skill development, ‘Drink While You Think’ sessions, and also encourage you to sign up for external training courses. Our most effective L&D philosophy is simply to encourage and support you to ‘have a go’. We’re all human, which means we all make mistakes – but we’re here every step of the way to help you to learn from those experiences. A key factor for our organisation is that we truly believe we make a difference to the world through the work we deliver for our clients. Each and every member of our team can make a difference, whether through research that influences government policy, or through a positive interaction with research respondents. We are fortunate to be in an industry that influences the world around us, advising on decisions that have a direct impact on public policy, and exploring issues that are often overlooked by society. Although our research is impartial, we are proud of the social and environmental insights our work enables us to identify, and the changes that research outcomes encourage in the policies and processes of our clients. Our value system has inspired a bright, supportive and outgoing culture at IFF. It’s been over 18 years since I joined IFF as a Trainee Research Executive, and I’m now a Director heading up our Financial Services Sector, working with a wide range of clients, across both public and private sectors. As a trainee, I had the opportunity to work across many sectors and all methodologies; I was never pigeonholed; rather, I was encouraged to explore and develop new skills, which means I am now able to contribute to areas of research that matter most to me. My roles have varied across the years but, critically for me, I’ve always had the chance to shape and direct the outcomes for organisations and individuals through my work, helping my clients to make better-informed decisions. IFF walk the walk when it comes to giving people scope to progress, wherever they start their career. Since joining IFF in 2005 as a Telephone Interviewer, I have progressed to the role of Operations Director, via stints running our Data Services team. I’m not alone in this regard. Eight of the 12 members of our Director team joined IFF as either junior researchers or as members of our interviewer team. There’s a real sense of opportunity at IFF, and the Learning and Development programme provides clear direction for new starters looking to improve all aspects of their skill set. I love the atmosphere at IFF – there’s a great team spirit spanning all levels of the company, and I’ve been supported and listened to since starting as a trainee; colleagues at all levels are always ready to help, and always willing to try out new ideas. The research we do is really varied, both in terms of methodology and subject area, so I’m still learning new things, even after many years. Everyone here cares, and that shines through – not just in the work we produce, but also in the fun, relaxed vibe in our office; it’s frankly a privilege and an honour to be surrounded by such interesting, motivated individuals.